Boys, we just made it easier for you to fashionably tackle the heat this summer. We scoured South City Mall and picked out the coolest (in all senses of the term, geddit?) summer essentials under just a thousand bucks! Yes, you’re welcome. The Forever 21 store might not provide too many varieties for men, but their basic tees are something you should stock up on. V-necks or quirky round neck tees in different colors are everyone’s wardrobe essentials. And guess what, they start from just INR 499! We also found this really cute white tee from Jack and Jones for just INR 899. 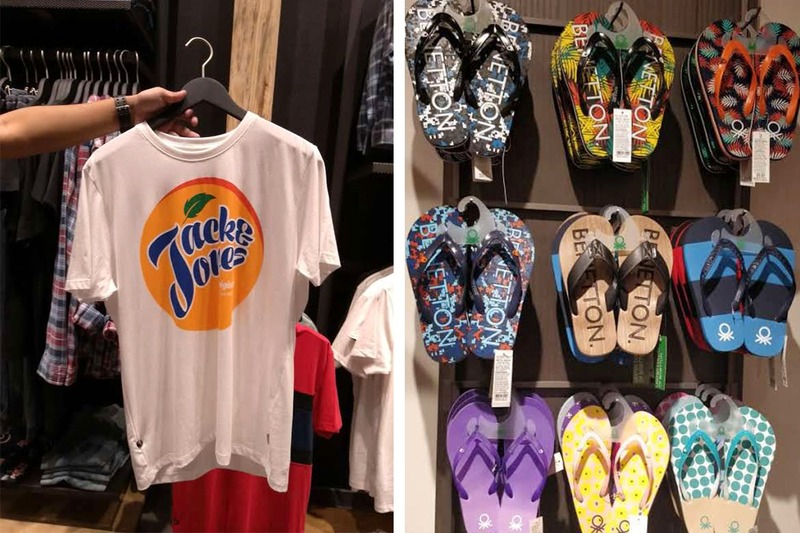 In fact, you should hurry, because Jack and Jones has a flat 50% off sale going on this week which means you might actually get it for way cheaper! If your college or workplace does not allow casual tee-shirts, don’t worry fam cuz we got yo back. These polo tee shirts from good ol’ Peter England come in full cotton (which means summer comfort max) and they won’t even burn a hole in your pocket (they come for 999 bucks). The prints are simple and classy, and perfect for semi-formal or formal work environments! Get your hands on these ASAP from Peter England at Shoppers Stop and Pantaloons. Summer is all about letting your skin breathe, so we can all bid goodbye to our heavy denim for now. Instead, amp up your style quotient by investing in this comfortable and kitschy pair of shorts from Forever 21 for just INR 999! They also have one in solid black, for those who prefer classics over kitsch. Last but not the least is our good old footwear cuz how can an ensemble truly be complete without the perfect shoes? Time to ditch the heavy sneakers, for these summer slippers from United Colors of Benetton have got us swooning. Why? Cuz they are comfy, light-weight AND come in quirky designs. They start from INR 499 (say what!) and go up to a maximum of INR 799. Not just stylish, they also let your feet breathe, without leaving you broke.